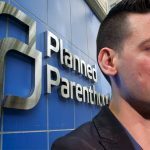 Fully under the thumb of the abortion racket known as Planned Parenthood, California prosecutors were compelled to bring charges last year against David Daleiden and Sandra Merritt, the investigators behind the Center for Medical Progress – the pro-life group that exposed some of the organization’s most despicable practices in a series of undercover videos. While the videos should have led to charges against Planned Parenthood for their illegal scheme to profit off the sale of fetal tissue, liberal Democrats who depend on the company for donations saw things another way. And if they had to make a choice between prosecuting their cash cow and upholding the First Amendment…why, that’s not even a choice! NOTHING is more important to a California liberal than protecting abortion, and those priorities were made clear when they attempted to put Daleiden and Merritt in prison. Thankfully, California hasn’t managed to divorce itself completely from the law of the land. A San Francisco Superior Court Judge ruled Wednesday that 14 out of 15 of the criminal charges against the CMP investigators were without merit and were to be dismissed without further delay. The decision was a huge victory for pro-life advocates and a huge blow to California Attorney General Xavier Becerra, who was doubtlessly hoping to use this case as a launching pad to bigger and better things. The case was personal for Becerra, who has a long history of supporting Planned Parenthood and the expansion of abortion rights. Thankfully, a sad day for Becerra is a very good one for defenders of free speech, to say nothing of those who find Planned Parenthood’s deceptive practices abhorrent. The judge dismissed the first 14 counts, which prosecutors brought against the pair for each of the undercover interviews they conducted. And while this is a big win for CMP, pro-lifers, and the Constitution, Daleiden and Merritt are not quite out of the woods yet. The judge left on the table a leave to amend, meaning Becerra can come back with revised charges that may or may not be accepted by the court. He also, of course, left the 15th charge – a conspiracy to invade privacy – hanging in the balance. Even so, the lawyers in the case, including Matt Staver of Liberty Counsel, were pleased with the results. In an interview with LifeNews, Staver said it was a proud moment for both his law firm and his clients. You have to wonder if this prosecution was really even meant to succeed, or if it was merely contrived to take the heat of Planned Parenthood and make it look like their exposers were, in fact, the real criminals. Merely drummed up to serve as a warning to anyone else who might want to show America the truth about this diseased organization: Think twice, because we have very powerful friends. This is the criminal justice system being used as a partisan tool, and we’re glad to see that their scheme is failing.